We know that both Pandya and Kerala cultures are integrated with the Pandalam dynasty. The members of the Chempazhannur branch of the Pandya dynasty, are said to have come to Pandalam from Madurai during the threat of an invasion. On the way they happened to halt at various places such as Achankovil , Kulathupuzha, Aryankavu, Sabarimala and Ponnambalamedu. These are the places where Pancha Sasthas (Five Sasthas) are installed. The 'Thiruvabharanam' is taken out of the palace and handed over to the Devaswom officials on 28th of Dhanu. This is later taken to Sabarimala. This set of golden jewellery was offered to the Lord by the Kings of Pandalam. In a palanquin, a representative of the royal family accompanies the Thiruvabharanam procession. He alone halts at Pampa and reaches Sabarimala only on the third of Makaram. All the pilgrims should ascend the Pathinettampadi with Irumudi. The members of the Pandalam palace are not bound by this custom. Promptly on the third of Makaram, the Melsanthi (Chief Priest) welcomes the Raja. He leads Kalabhabhisheka on the fifth and performs Guruti at Malikappuram on the seventh. Then the keys of the Srikovil and the coffer are given to the king. 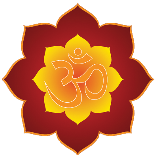 He accepts them voluntarily and returns the key to the Melshanthi himself. He gives instructions to the Chief Priest to look after the temple affairs till the next session of the year comes. 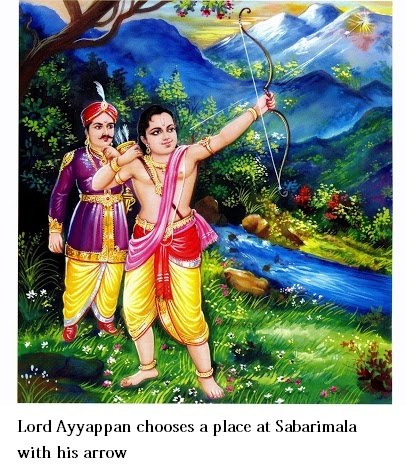 Pandalam in Kerala is the chosen and blessed place where Lord Ayyappa, the presiding deity of Sabarimala had had His human sojourn as the son of the Raja of Pandalam. The Pandalam kingdom was established around 79 ME (903 AD) by the Pandalam royal family who are the descendents of the Pandya kings of Madurai. The Pandya royal family had to flee Madurai because of threats to their lives posed by their own ministers. A branch of the fleeing family moved westward, briefly staying at various places it acquired by purchase. The family kept on the move for over a century, finally reaching Pandalam in 79 ME. This was chosen to be the permanent home for the royal family. The then ruler of Venad (later Travancore) helped to establish the kingdom at Pandalam. According to the Travancore State Manual, the Rajas of Pandalam " were always friendly to the Kings of Travancore.? By the time, all members of the family reached Pandalam and a full-fledged kingdom was established, it was 370 ME (1194AD). The territories under the Pandalam administration extended to over 1,000 square miles mainly eastward and covered the mountain ranges, consisting of 18 holy hills including Sabarimala. The principality was also known as Airur Swarupam. The Raja also used a title ' Airur Sree Veerasreedhara Kovil Adhikarikal'. The royal family of Pandalam belongs to the 'bhargava gothra' while other Kshatriya families in Kerala belong to 'viswamithra gothra'. Secularism was and is one of the guiding principles of Pandalam family and there was peaceful co-existence of various religious groups. There are many examples of the Pandalam Rajas extending lavish help in constructing churches and mosques in their territory. To quote from the Travancore State Manual, the co-operation of the Rajas of Pandalam "was of great advantage to Marthanda Varma for the subjection of Kayamkulam.? After Tippu's invasion of the Malabar coast in 965ME(1789AD), Pandalam was asked to pay an amount Rs. 2,20,001 to the Travancore govt. towards the cost of the war. The amount was to be paid in installments from various sources. Once in 969ME (1794AD), the income from Sabarimala temple was hypothecated by the then ruler of Pandalam for the above purpose. In 995 M.E (1820AD), the then Ruler of Travancore suggested that the Travancore government would support every member of Pandalam royal family and the future progenies thereof in a manner befitting their status for all time to come provided the Raja of Pandalam entered into a written agreement with the Travancore government consenting to have the revenues in Pandalam collected by the officers of the Travancore government. Upon the Raja of Pandalam accepting the above proposals, the Pandalam kingdom was merged with Travancore. Since then, a monthly pension is being paid to the Pandalam family. Administration of the temples, including Sabarimala within the Pandalam kingdom was also transferred to Travancore government and subsequently to Travancore Devaswom Board.